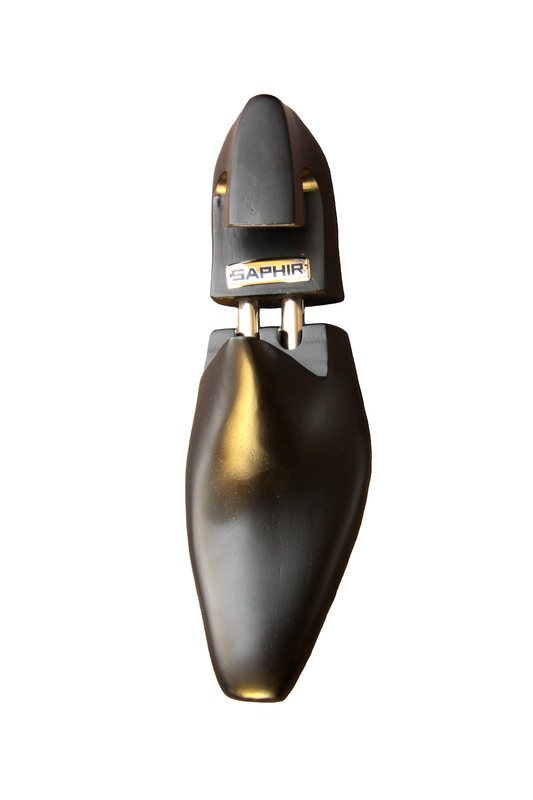 Saphir's luxurious chisel toe shoe trees finished in matte black, fitted with luxury chrome bars, is a must have for your pointed shoes. 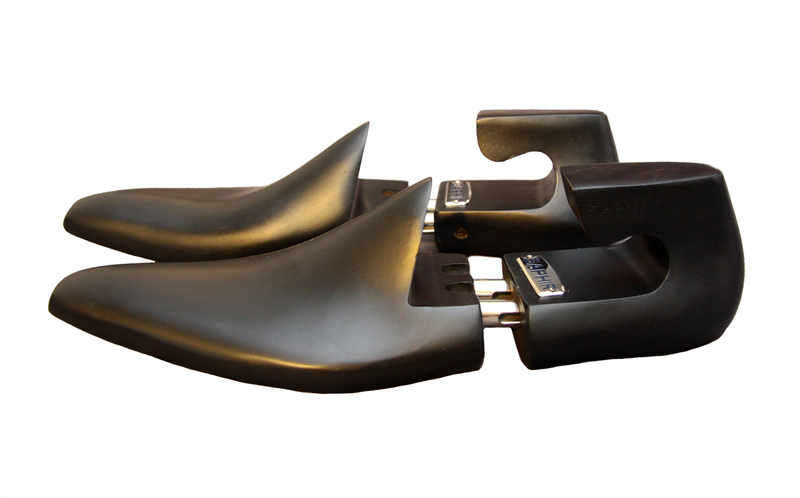 The wood used to make the matte black shoe trees is Rubberwood. 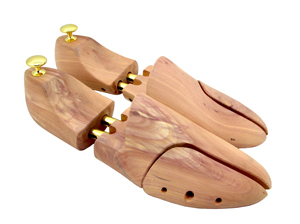 These shoe trees are perfect for any of your pointed shoes where a regular round toe shoe tree just won't work. 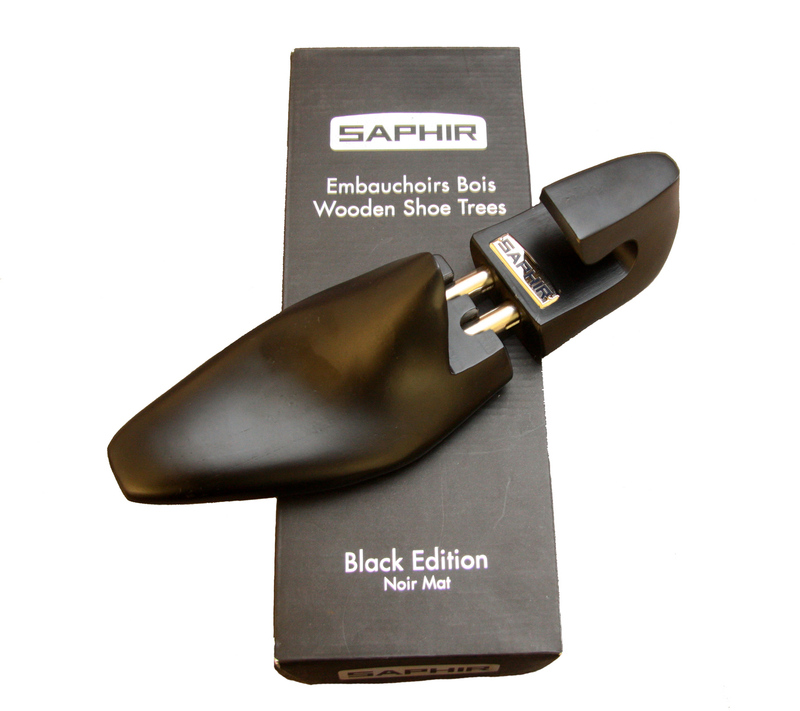 Shoe trees smooth out creases, linings and wrinkles in your shoes, making your shoes last longer and look better. 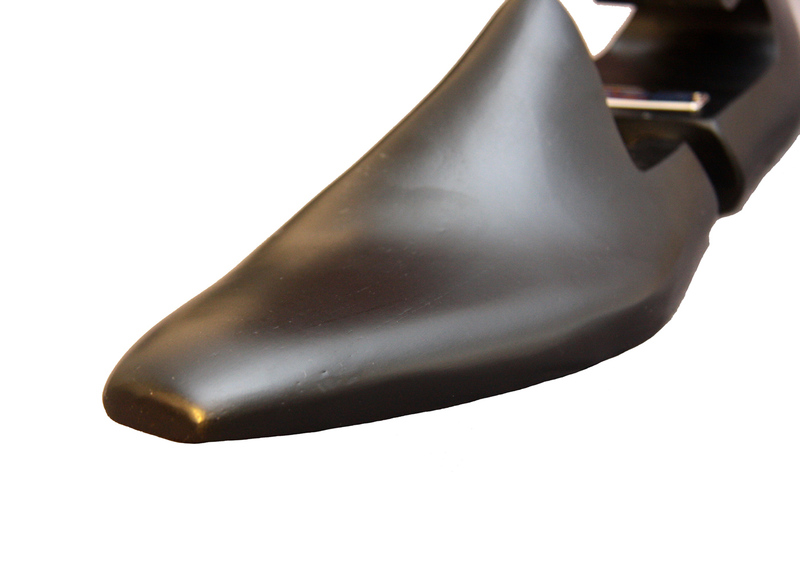 Because of the spring tension design of our shoe trees, your shoes also feel more comfortable. 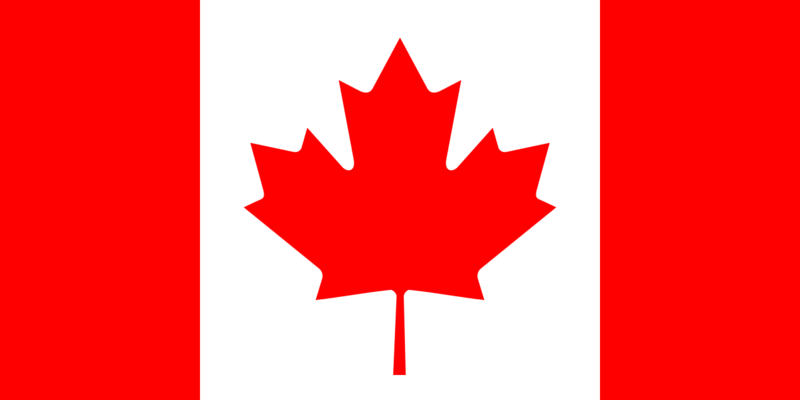 PLEASE NOTE:- Due the elongated pointed shape of these trees, we recommend going with the European sizing or a size smaller. 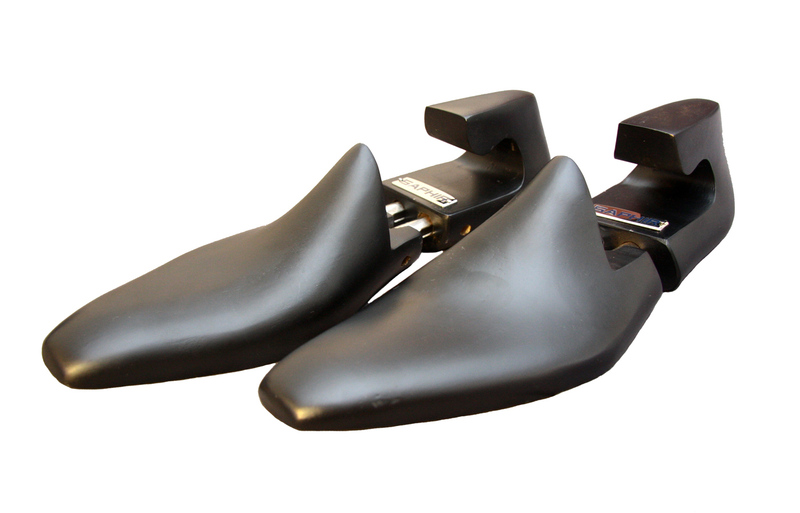 For example, a US 10.5 shoes should use the European 43/ US 9 shoe trees. 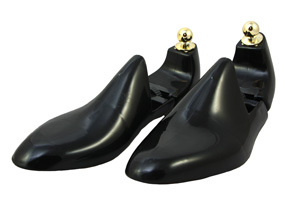 I bought these for my carmina rain lasts and they fit almost like lasted shoe trees.